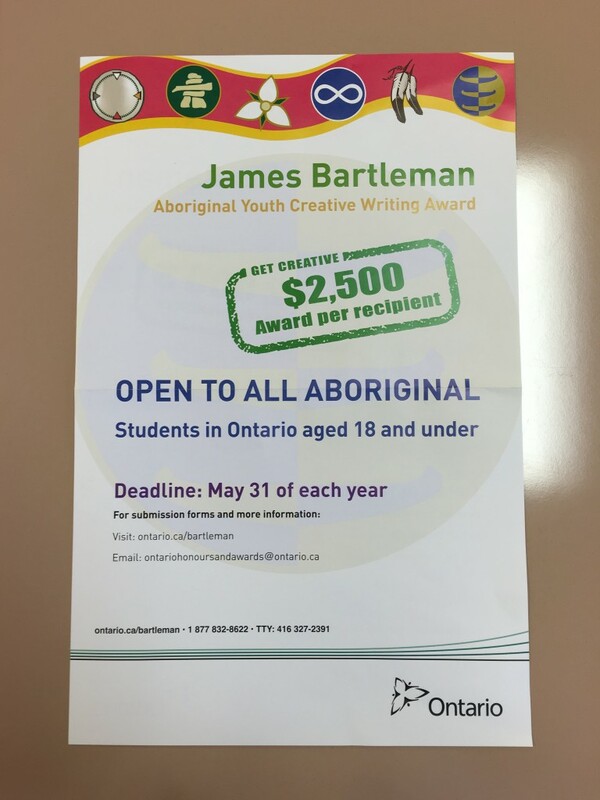 The James Bartleman Aboriginal Youth Creative Writing Awards recognize up to six Aboriginal youth for their creative writing talent. Creative writing pieces may include (but are not limited to): short stories, poems, essays, plays, songs, or even comic strips, as long as they are original work created by the student. All submissions will be reviewed by an independent selection committee. Recipients will receive a cash award of $2,500 each. Fill out the form, then submit it along with your creative writing piece on or before May 31, 2016. There’s lots of talent in GCHS – get recognized for it!